Grandaddy Confidential is a classy 3-way cross of some of the best indica cannabis genetics currently available. 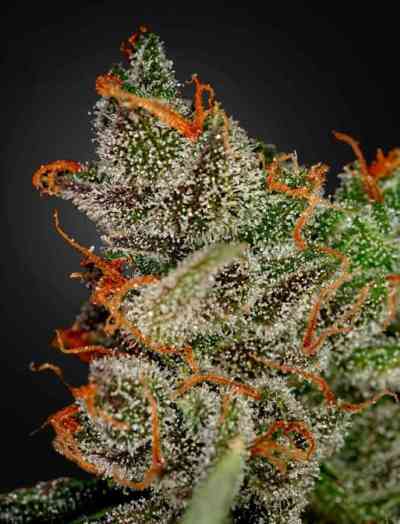 The original genetics came from the acclaimed LA Confidential which was crossed with a special Grandaddy Purps . Both varieties have 20%++THC levels and are stable, highly appreciated varieties. The genetics were then crossed with an award winning O.G. Kush, this gives a delicious deep and rich Kush aroma to the final buds whilst maintaining THC levels around the premium strength 22-23%+ level. Plants tend to be medium hight with average stretch during bloom. Harvest quantities are well above average, but the beauty of this variety is in the quality of the high which is powerful and long lasting with a strong body stone. Grandaddy Confidential is a popular variety for home growers, the award winning indica genetics are compact, high yielding proven and highly potent. This is another THC rich variety popular with concentrate fans due to the high oil content. Incredibly satisfying and relaxing to smoke/vape, a premium quality feminized photoperiod variety in the Seed Stocker collection which you will want to grow again and again.